60 days of exploring already?! I can hardly believe that I’m celebrating my second monthversary on the road but I apparently did it. I have survived mosquito bites allergies, hitchhiking, chicken buses, local food, heat waves and most important the unknown (a small step for the backpacking community but a giant one for me!). Time flies they say and I couldn’t agree more! It seems just like yesterday when I landed in cancun, ready (well at least I thought I was ready ha!) to hit the road with M. Month # 1 was tough and seriously made me consider my sanity (why on earth was I putting myself through THIS?!) but month # 2 confirmed that this where I was supposed to be and I am looking forward to many more adventures. For today’s Tuesday yumminess I am taking you to where this exciting adventure has started: Mexico. 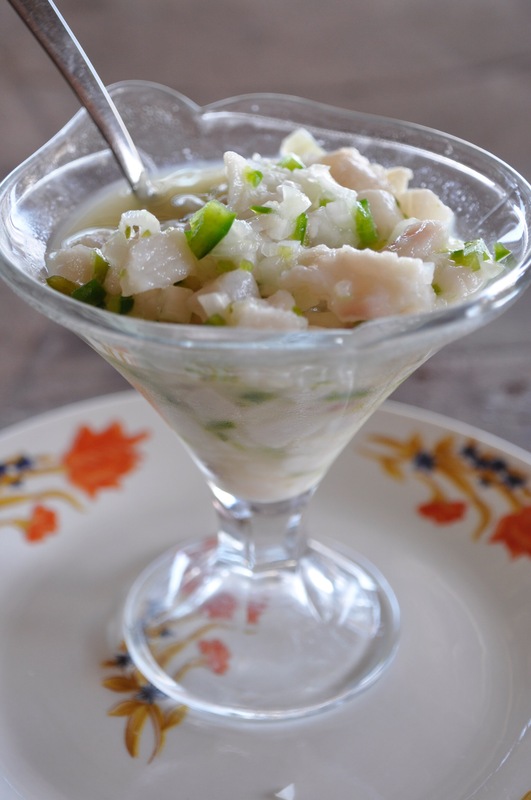 They have a wonderful dish called ceviche, a dish of marinated raw fish or seafood. I found a cool article that provides us with tips to make the perfect ceviche. I also looked for an easy recipe for you to prepare once summer has arrived (I heard winter is not ready to leave Europe! Shall I send some heat and sun your way?). Enjoy!